The Nito Series is all about dimension and texture. The woven nito vine which makes up the outer diffuser is not only an attractive feature, but is strong enough to serve as a protective barrier for the inner diffuser. 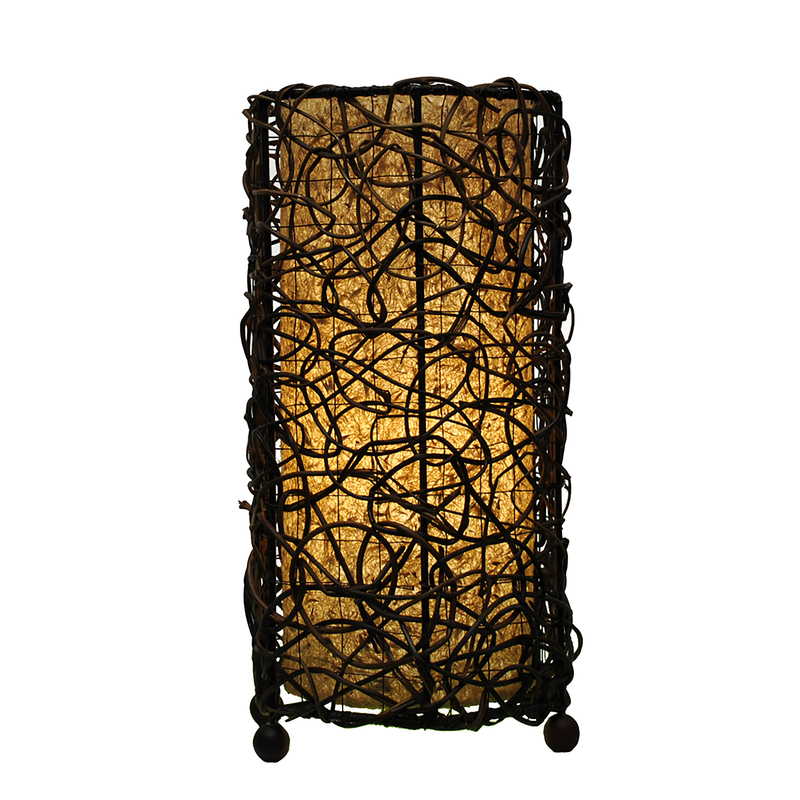 The inner diffuser features banana fiber which is adhered using a non-toxic adhesive to a standard UL lamp backing. 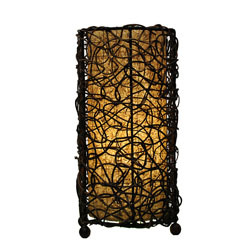 The outer diffuser features nito vine woven into a sturdy, wire mesh that is attached to a wrought iron powder-coated frame. The entire lamp is set on wooden finials. 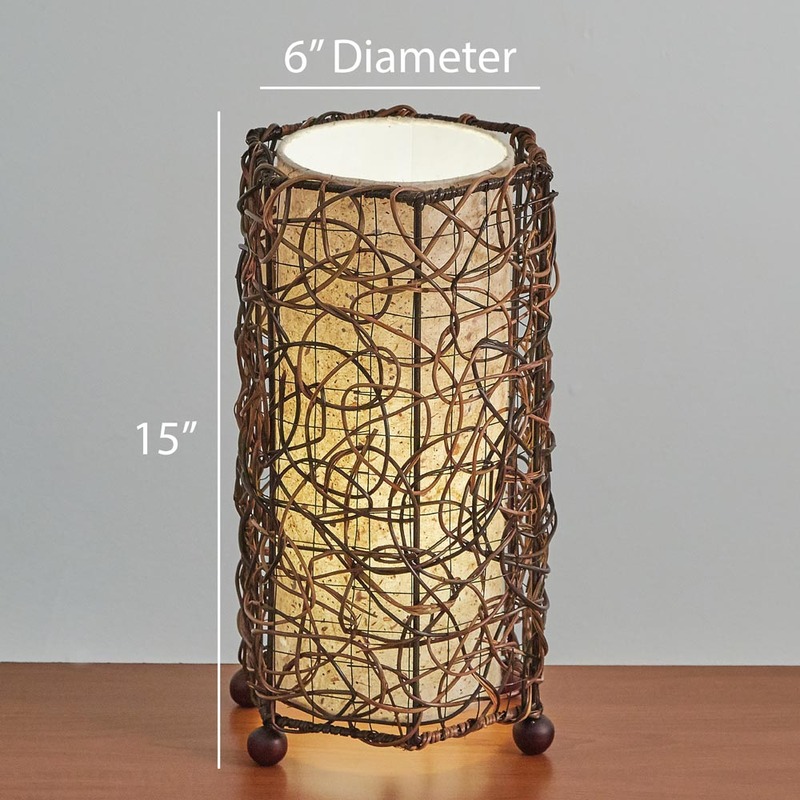 The fibers on this lamp are by-products when the plant is harvested, providing a second source of income for the farmers.